The Shakespeare Safety Snap Swivels are durable and allow you to easily and quickly change your lures and rigs. 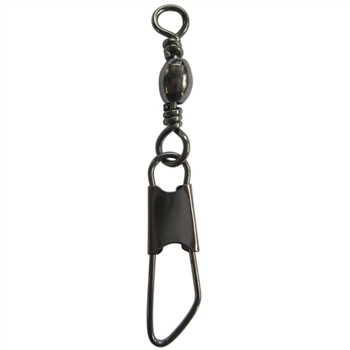 These snap swivels are made from quality materials and are durable, reliable and strong. The Shakespeare Safety Snap Swivel is available in a range of sizes and is supplied with 10 per pack.